Once a new disciple approached Acharyar Bhattar and asked him……….. Please clear my doubt . What qualifications are needed to recite the Lord’s names ? Now tell me what qualifications were needed to call AMMA …. The disciple did not have any answer …. My child !! continued Bhattar …. One who goes to bathe in the Holy ganges indeed need not cleanse himself beforehand by dipping in a salt water pool . When we wish to be saved what more qualifications do we need than simply to desire it and forthwith fly to our savior LORD who saves us and also make us fit for salvation too . When we go to a pure fountain, is not the fountain itself the purifier . some say that besides the visible body there is nothing like what is called as soul there is no moral order and there is no God whereas other say this body is transient and admit its turbulent nature and therefore say we must aim something permanent beyond this body . Swamin please elucidate what give rise to these two different opinions . This body is a loathsome abomination if only one would turn its inside out and examine the contents . Then NO body’s teaching would be needed to detest it . And , yet our long habituation with it is the cause that we love it in spite of the immediate visible evidence that is disgusting. Bhattar continued …. 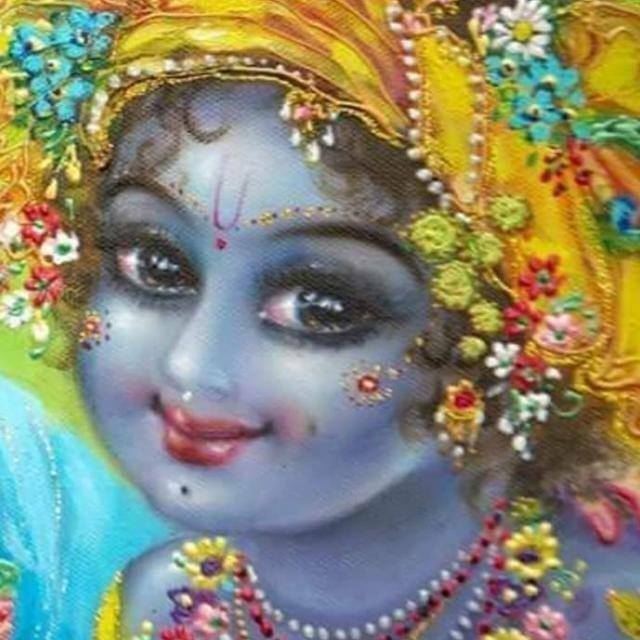 Lord Krishna says in Srimad Bhagavad Gita chapter 7-14 ..
To pure hearts LORD gives sufficient enlightenment to realize the detestable nature of the body and thence to endeavor to rid oneself of it but for sinful hearts the love for body persists and as a consequence to , in its company they commit more abominations and hence …………………. Lord weighs us in HIS scales of justice each according to the merits and demerits of KARMA . Bhattar used to feel low during the darshan of the processional deities after Abhishekam ( Thirumanjanam ) wearing wet clothes and used to contemplate …..
Oh Supreme Lord !! when your Highness are not able to convince obstinate people like me with your abundant compassion for our final upliftment are you…………………. adorning yourself with the wet clothes so as to take an oath and convince us ?? 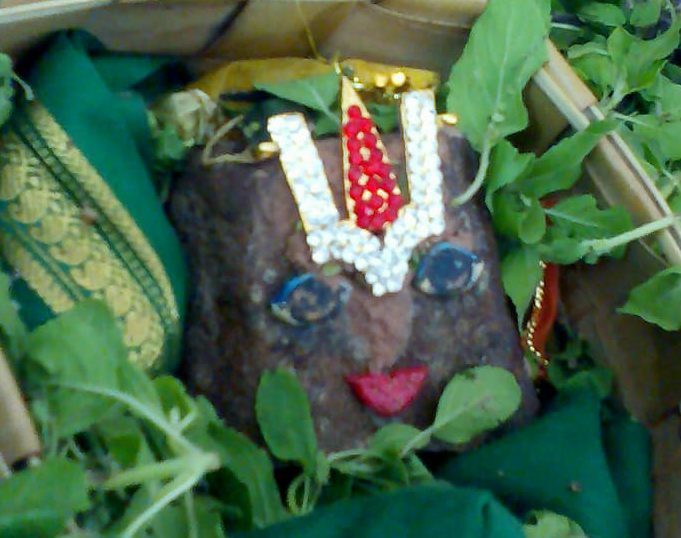 Previous postMATA NARASIMHA, PITA NARASIMHA BRATHA NARASIMHA, SAKHA NARASIMHA VIDYAA NARASIMHA, DRAVINAM NARASIMHA SWAMI NARASIMHA, SAKALAM NARASIMHA …..
Next postJai Jai Jagannath sacīra nandan tribhūvana kore jār caraṇa vandan. Thanks for sharing it. Lord’s presence is our strength and HIS absence our weakness . To pure hearts, Lord gives Enlightenment to realize detestable nature of body & to endeavor to rid one of it but for sinful hearts the love for the body persists & commit more abominations. Lord weighs us according to the merits & demerits of Karma – Enough to Adiyen to more purify self – the best Aushadam sought from a DIVINE MESSENGER of Narayana & perhaps in the previous age one of the chief desciples of Jagathacharya like Kuresar! Feeling clear & fresh mentally! Thank you Varadan. Adiyen Ramanuja Dasan – Jai Sriman Narayana! Excellant.What qualifications are needed to recite the Lord’s names ? Very simple. Avanai ninaithaalE pothum. Mika arumai..